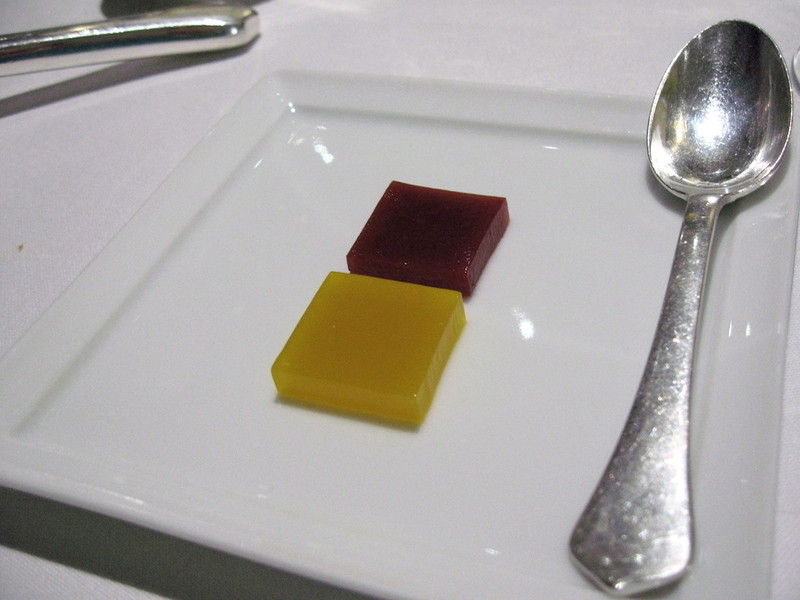 Are those two small squares a Fat Duck dish? It looks so damn straightforward? Indeed, this recipe is not even a page long, at most one third. It is not so much about the flavor, more about our perception of food. 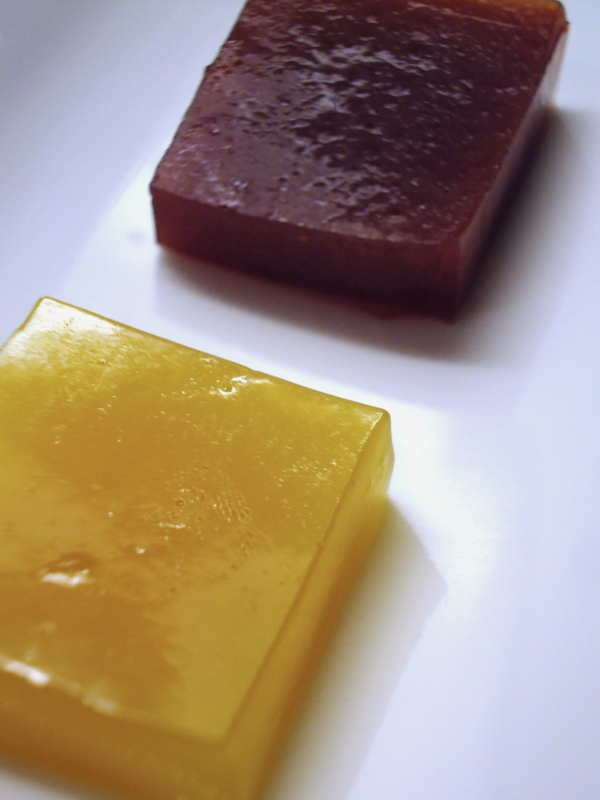 The yellow jelly looks like orange and the red jelly like beetroot, but they are not. 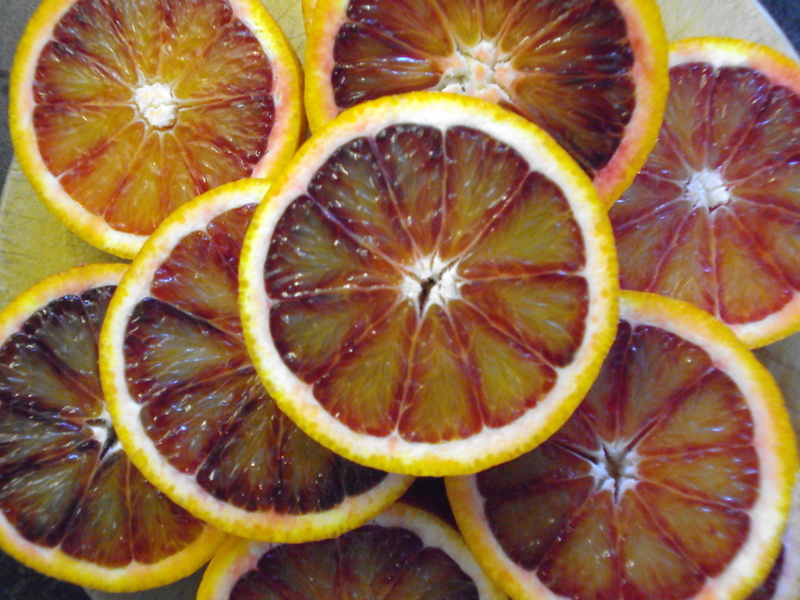 Blood oranges and yellow beetroots allow for a reversal in color. Factors outside this plate of food will, for most, make us assume yellow is orange and red beetroot. 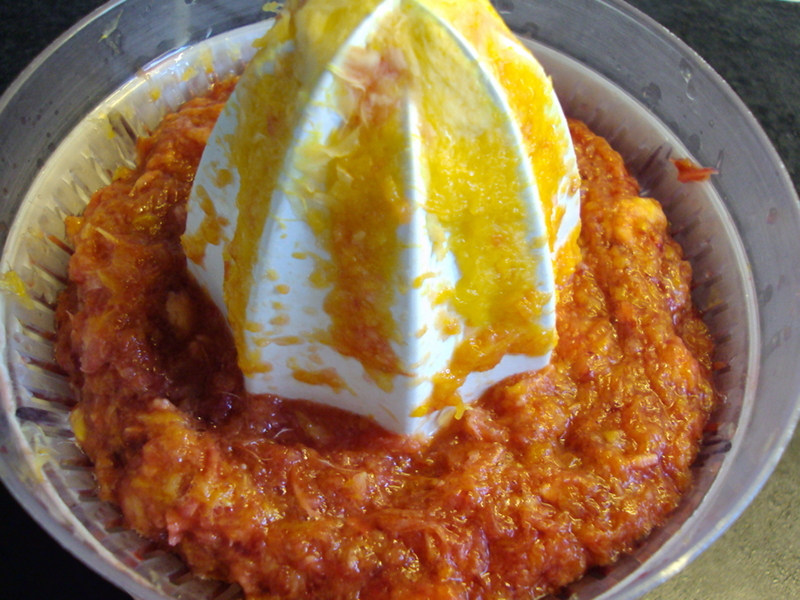 I never had this jelly before being aware of the reversal, so I can’t comment on it, but I’ve read some reviews about the surprise caused by this dish. I’m gonna give it to some unsuspecting diners, I just haven’t got around to it. I’ll update the post when I do. What I did do was photograph the end result in a real studio. The humble jellies got a royal treatment. I’m taking a course in photography and today we had a chance to shoot some pictures in a studio. 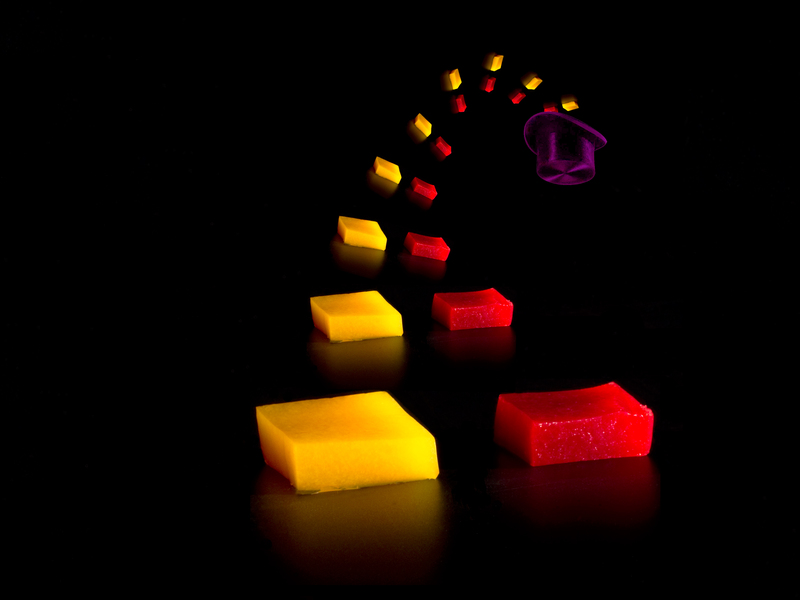 With the risk of everyone thinking I’m a complete idiot, if there was not already some inclination towards that feeling, I took the red and yellow squares with me. 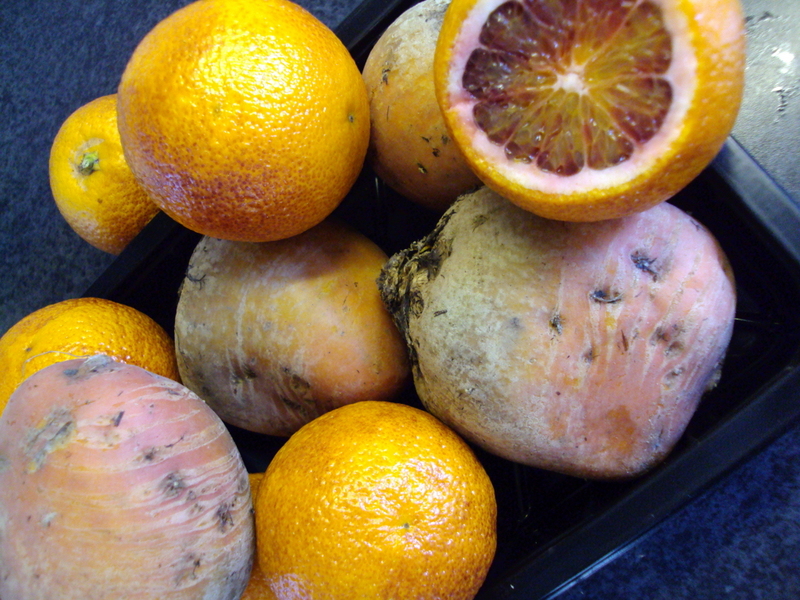 Blood oranges and yellow beetroots. 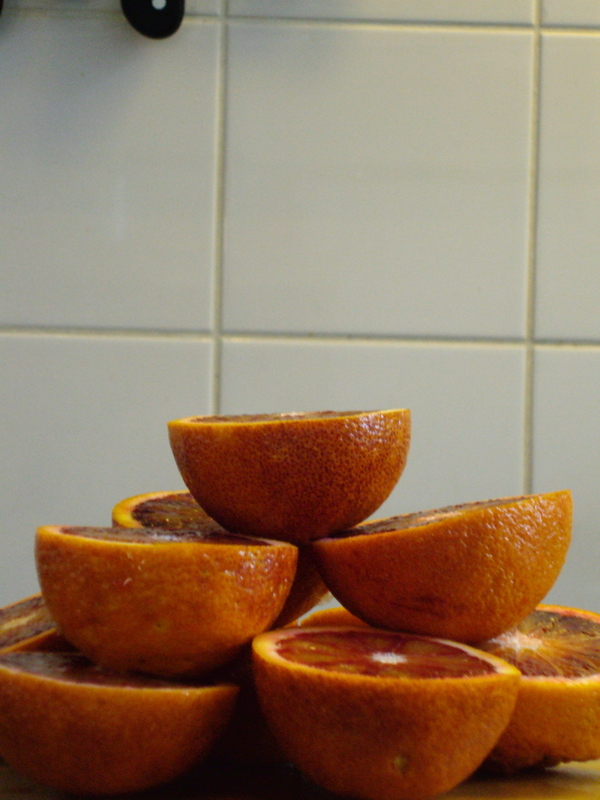 Juicing blood oranges, reducing it with some unrefined sugar and gel it with gelatine. Damn, the yellow beetroots were the reason for a lot of frustration. I juiced them like any other dish, peeling them, chopping it in a mixer and pushing the liquid out in a hair net. It ended not once, but two times in disaster. For some reason the juice turned green after a while. I think the process is jumpstarted by heating the juice. If anyone knows why let me know. The first time I thought there was something wrong with the beetroots. 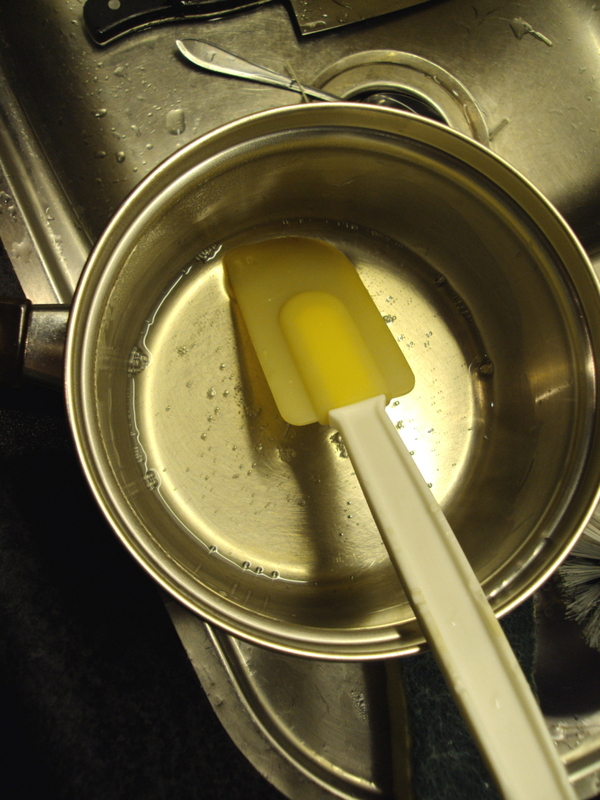 The second time I started to look what could cause it and saw some small green particles in the pan and the hair net. I don’t know what they are, but they made making this simple dish hell. I immediately added some vitamin C to the juice to stop any possible discoloration. I passed the juice through several layers of hair nets to block any green particles. 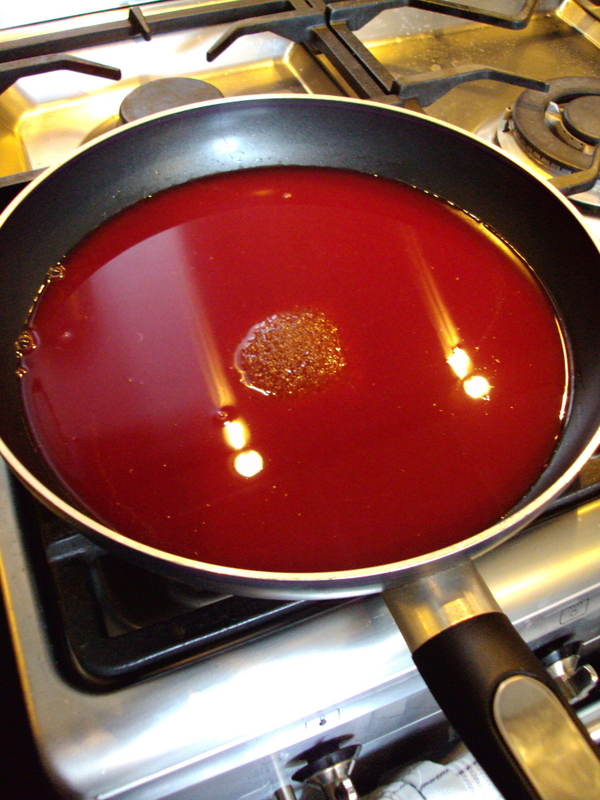 I didn’t heat the beetroot juice to dissolve the gelatine. 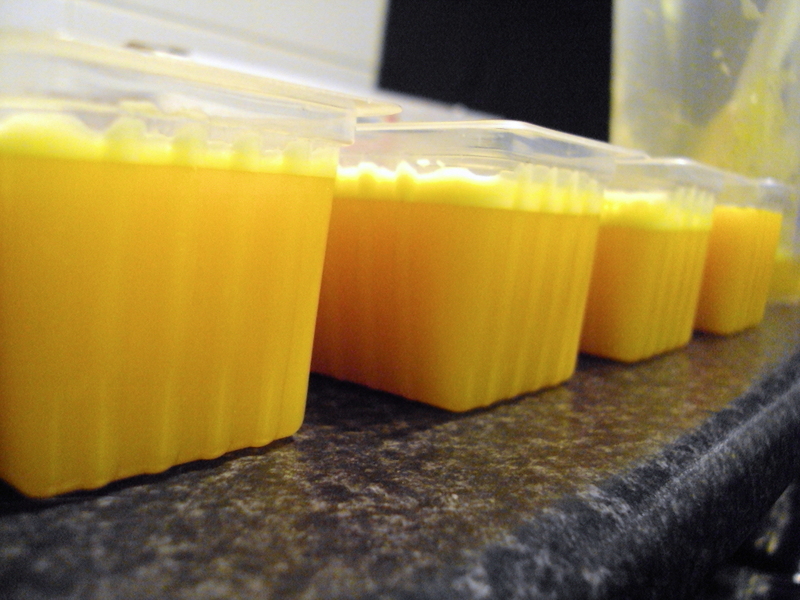 Instead I used a bit of water, so the juice didn’t need to be heated. It worked and I ended up with yellow jellies. Phew. I don’t think I could have handled a fourth attempt. The studio picture. Forget about it. 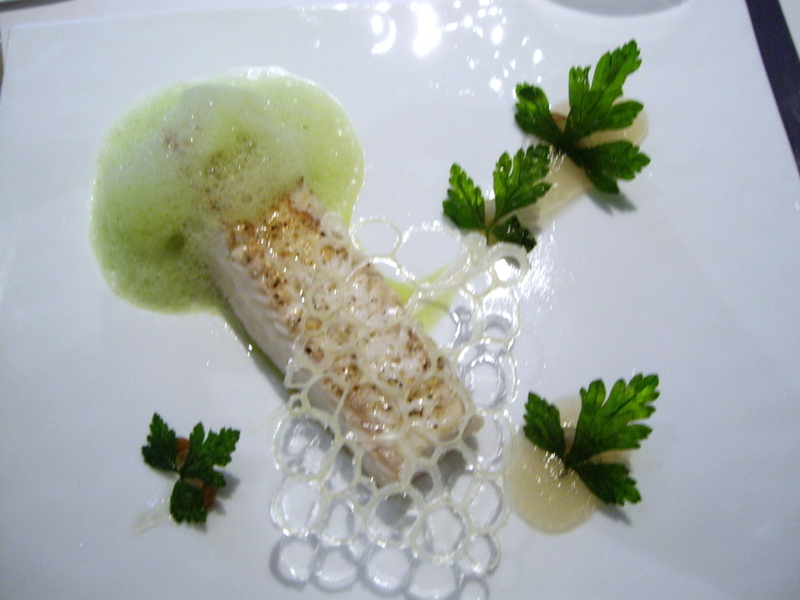 Click here for a more faithful image of the dish. I’ll update this part when I have the chance to mess with some people. I tryed all your tricks and my beetroot still went green. hum! He Paul, sorry to hear that. Ready to toss vegetables out the window or did it work out? 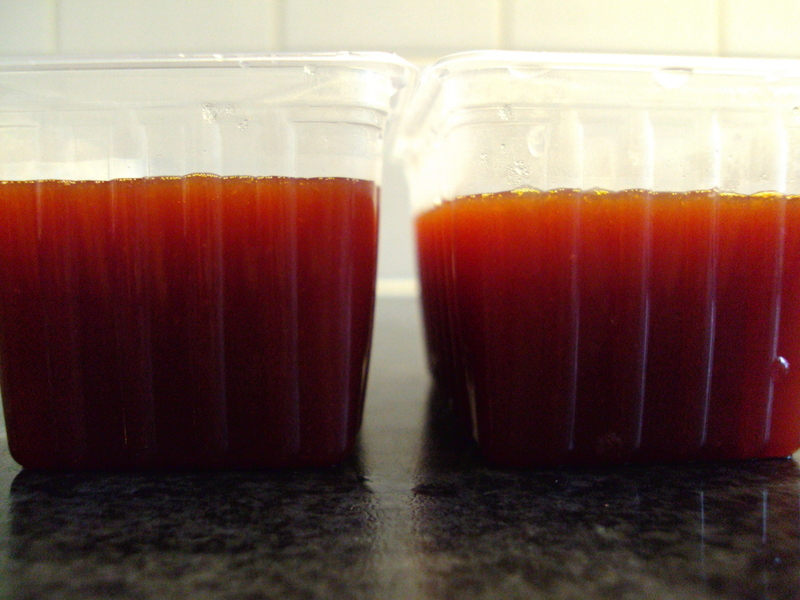 What I didn’t mention was that I chilled the beetroots before I ‘juiced’ them to keep everything as cool as possible. 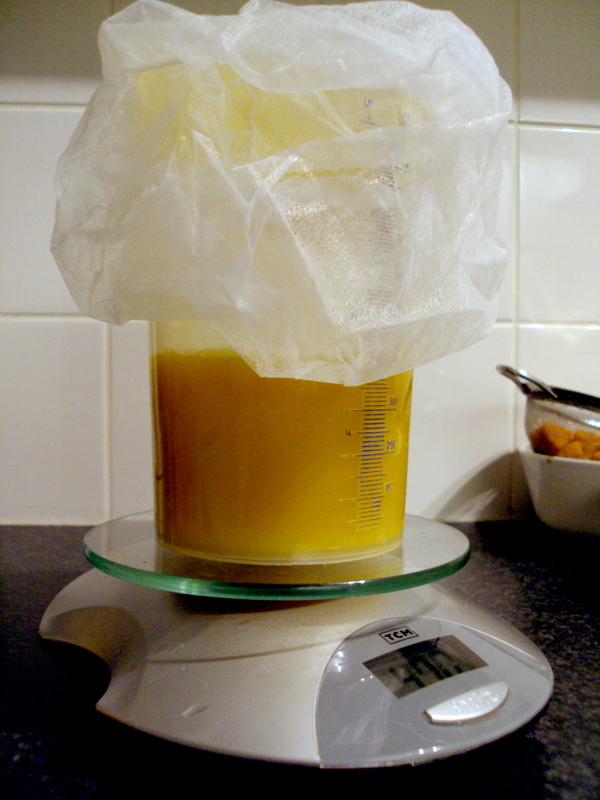 Because the liquid was very cold I mixed the gelatine in with a hand held blender. 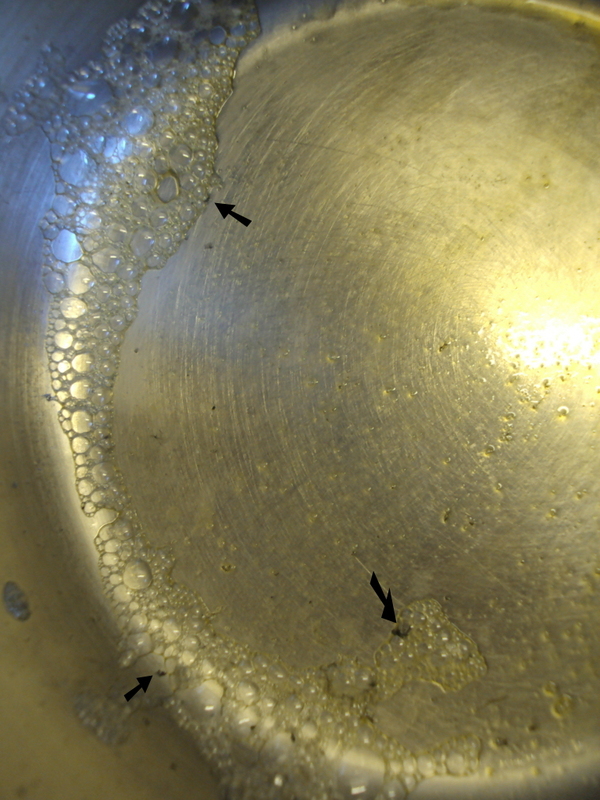 The resulting top layer of bubbles did turn a bit green, but not the liquid underneath. Strange. With your experiences it does raise the question: how the hell are you supposed to heat beetroot juice, as instructed in the book, without it turning green? it has to do with your beets. you need to palance thier PH. if you use a PH test strip you will what i mean. alot of that has to do with the source. what chemicals used to grow or pesticides. soil PH matters as well. but an exapmle would be this, juice a red cabbage, add the juice to egg whites, whip. they turn greenish. 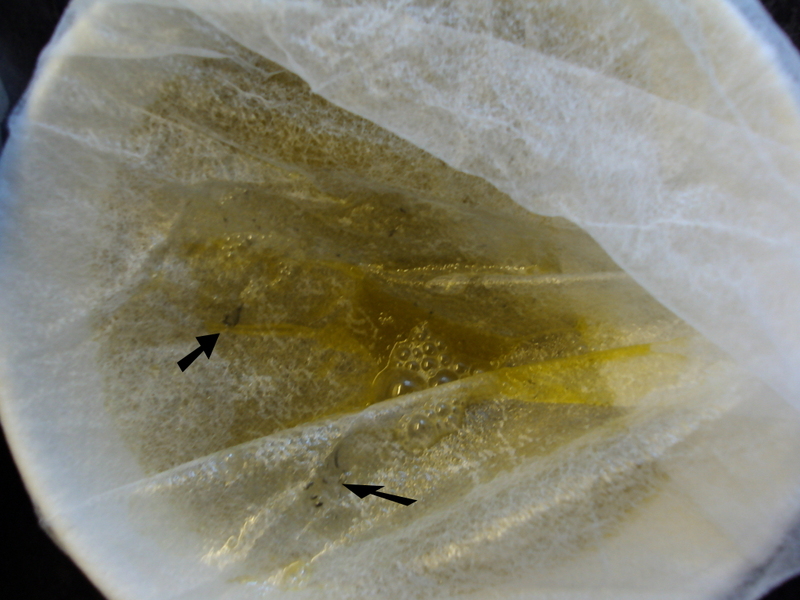 the oxygen introduced activated the acid in the skins when juiceing the beets. eat a raw peal and see how it tastes. i maybe wrong, just a line cook, but makes sense to me. Love the last picture. Definitely fits into the Fat Duck aesthetics 🙂 ! I would try peeling the beets then juicing as well. How did the jellies taste? He guys, I did peel off the skins. 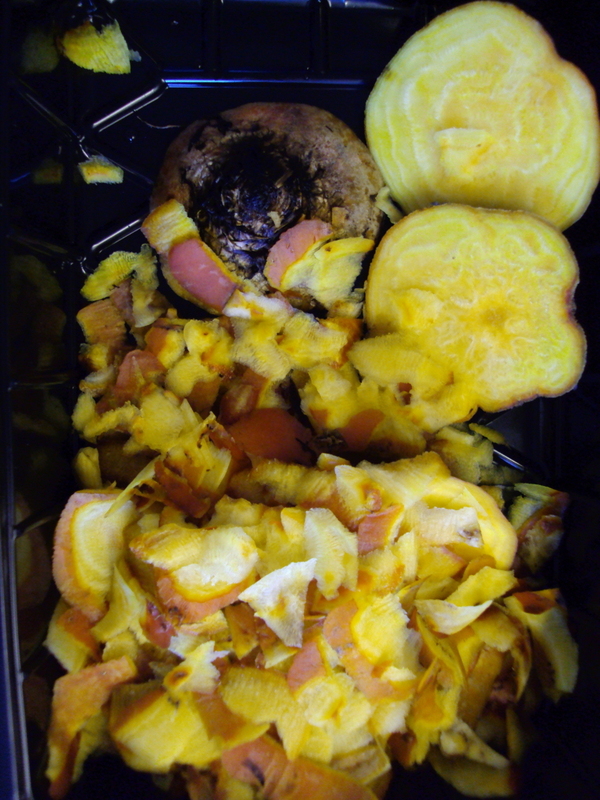 The photos may be a bit unclear, cause I only took a picture of the skins and not the peeled beetroots. The jellies tasted just like their main products: raw beetroot and blood orange. You could say extremely pure. The thing is eating it when you’re clueless about the switch. How does it taste when you expect something else, but haven’t gotten the chance to give it to someone unsuspecting. 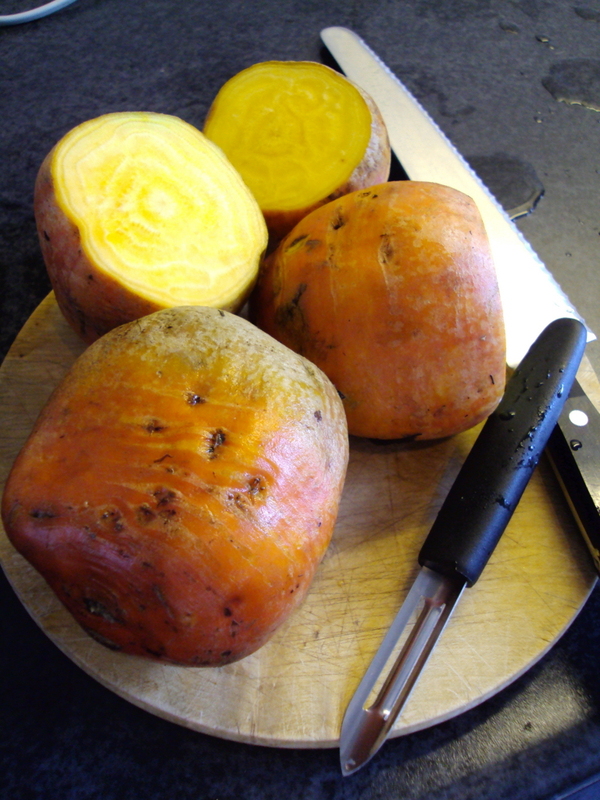 Great article – Many thanks – will have to give it a go, I love beetroots! Me too. I think that if beetroots were as rare as truffles they would receive the same praise (and loathing). They have the same pungent characteristic and people either love them or hate them. I’m having the hardest time finding yellow beetroots here in Germany. Do you know a dealer that might deliver to Germany as well? Hi man, no idea… Ze Germans must eat some yellow beetroots, I would keep looking! I like the fact that you made great notes here, otherwise I would’ve been astounded by my “green” yellow beetroot juice. I somehow totally forgot about this possibility when buying the beets, and thus only bought one batch. I had to drive to my parents house to use their juicer, and when I packed the juice to bottle for transportation it was nice an bright yellow. 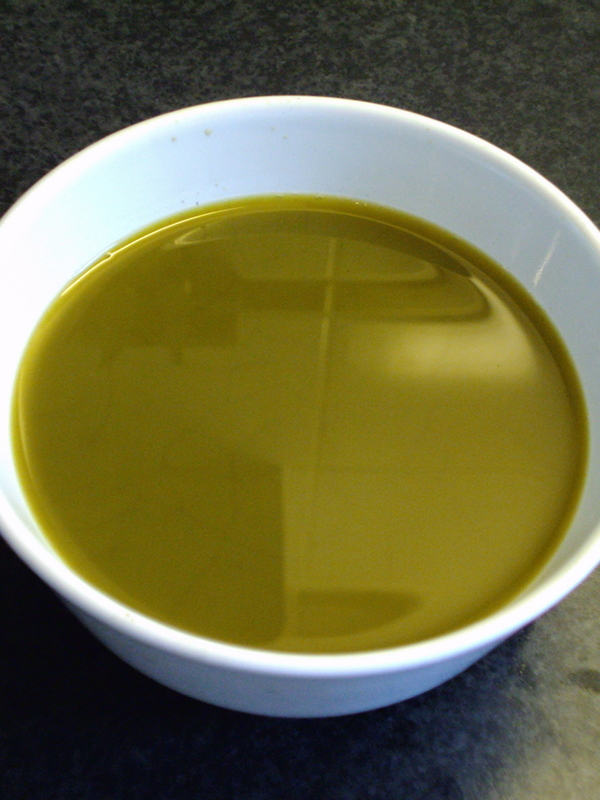 Driving back home and starting to jelly it, I noticed it had turned completely murky green. So I decided to pass on this one.